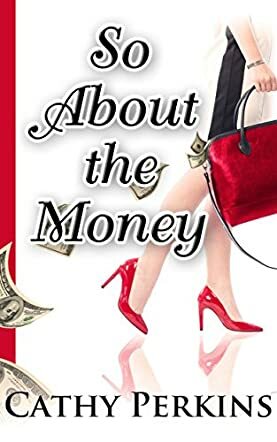 Despite the interference of her law enforcement ex-fiance, a pertinacious accountant attempts to solve a ghastly murder in the delightful sleuth mystery, So About the Money (Holly Price Mystery Series Book 1) by Cathy Perkins. When Holly Price's father skips out on his wife and their business, Holly leaves Seattle and temporarily returns to the small town of her childhood to help her mother. While on a hiking date, Holly and her companion stumble upon the corpse of a woman they both work with. It is a suspicious death and Holly is a person of interest. Worse yet, Holly's ex-fiance, JC, is the detective in charge of the investigation and doesn't seem to be interested in clearing her name. Determined to find the real perpetrator, Holly begins making her own inquiries. However, in doing so, Holly ruffles a lot of feathers, including those of JC. Now someone seems to be gunning for Holly, and JC insists she stay out of his investigation. Can Holly prove to JC she isn't as inept as he supposes and expose the killer? Or will Holly become the killer's next victim? So About the Money (Holly Price Mystery Series Book 1) by Cathy Perkins is a fabulous amateur sleuth murder mystery. It is an exemplary 'whodunit' with a captivating story line that keeps the reader guessing until the murderer is revealed. The story moves along at a good pace, with an intriguing plot and compelling characters. The protagonist, Holly, with her compassion and good sense, is a classic heroine with an engaging personality that is easy to like. This story makes a fantastic start for a new series, and I am looking forward to reading more of Holly's sleuthing adventures. Very professional and nicely done! Readers who enjoy novels with spunky protagonists will not want to miss meeting Holly Price; a respectable accountant and the new gumshoe in town.